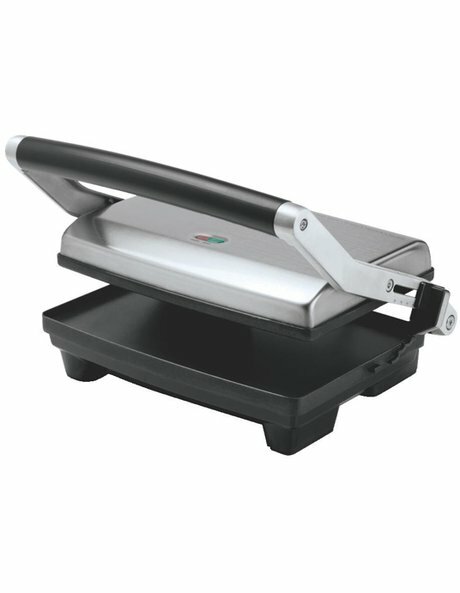 Whether you're in the mood for cheese on toast, or cheese in toast, this compact press can do both. The 'Toast & Melt's' floating hinge remains flat on the bread, no matter how thick the sandwich, for evenly crispy results. Simply adjust the top plate to one of four fixed height settings and 'voila'. The bottom plate makes contact to cook, while the top plate sits slightly above to melt cheese on to the bread. Crispy open melt sandwiches or toasties (without the mess). Makes two big sandwiches at once.